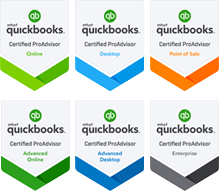 There are dozens of issues that can lead to QuickBooks freezing and locking out users which can be horribly frustrating in a multi-user and/or hosted environment. Some cases are real “freezes" and some cases just “look" like freezes. The software, while being a great accounting system, repeatedly receives poor marks for reliability in a networked environment. Unfortunately, the answer from tech support is too often “do a repair install" or “reboot" which does not always resolve the issue and is often disruptive. Also, as a trained software engineer, I just detest this answer. Turn Key Office has prepared this guide to best practices which can eliminate a high percentage of these issues. A little understanding of some of the limitations and assumptions Intuit developers made goes a long way toward a more pleasant overall multi-user experience.